Accommodation: Hotel Kalinga Royal Cottages Manali is a very famous 3 star cottage that shares its proximity to the hill station’s well-known shopping and entertainment centers. The hotel has 21 cozy cottages, equipped with most admiring interior decoration plus the modern room amenities like attached bathrooms, hot/cold shower, satellite TV with channel music, telephones with international dialing, shaving mirrors, DVD player, bathrobes, bathroom rooms, latest bathroom toiletries, laundry, room service, alarm clock, refrigerator in each room etc. really make the guest’s stay a wonderful one. Dining Facilities: As far as the dining facilities of this 3 star Manali cottage are concerned, they are just brilliant. It is so because here the guests are served up with lip-smacking delicacies of various varieties which are just the best. Business Facilities: A spacious business hall along with latest business equipments like wi-fi with internet connection, projector, secretarial assistance, fax on demand, courier, telegraph, 24-hrs travel desk, photocopy machine, instant facsimile, etc. truly serve the purpose of business tourists. 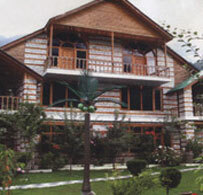 Recreational Facilities: The recreational facilities offered by Manali’s popular Kalinga Royal Cottages include: Pool table, nature walk, shopping pergola, gift shop, sauna and steam, Jacuzzi, Ayurveda, camp fire at night, special interest tours, adventure and trekking, badminton, chess, basketball, carom board, etc. Other Facilities: Some other facilities like money changer, car parking, reception, caretaker, baby care facility, airport/railway station transfer, wheelchair on request, electronic safe, fireguards, generator, acceptance of all major credit card, personalized services, medical assistance, car rental service, shuttle service, travel and tour counter, travel guide, etc. are easily obtainable at 3 star Manali cottage and thus make your stay an excited one.